Birthplace : Malba, New York, U.S.
John Michael Frankenheimer born February 19, 1930 in Malba, New York - died July 6, 2002 in Los Angeles, California was an American writer and filmmaker. He is known for making The Manchurian Candidate (1962), Birdman of Alcatraz (also 1962), The Train, (1964), Seven Days in May (also 1964) and Ronin (1998). 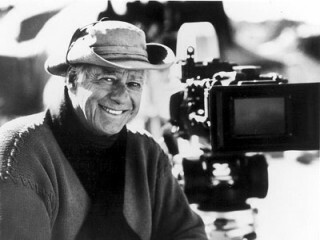 Film director John Frankenheimer only doubled as screenwriter on one of his productions, but it may well have been his best film. The Manchurian Candidate, a cold war-era thriller about a Korean War veteran who is brainwashed into attempting to kill the U.S. president, was adapted from a novel by Richard Condon. It features a top-flight cast, including Frank Sinatra, Angela Lansbury, and Laurence Harvey, and was ranked number sixty-seven on the American Film Institute's list of the best one hundred American films of the twentieth century. Interest in The Manchurian Candidate increased when President John F. Kennedy was assassinated a year after its release and it was pulled from circulation. There are conflicting theories as to why this happened; some claimed that the film's producers did not feel it was appropriate to screen the film after Kennedy's assassination, while others cited economic considerations. When The Manchurian Candidate was re-released twenty-five years later, critics agreed that the passage of time had not harmed the film at all. "Not a moment of The Manchurian Candidate lacks edge and tension and cynical spin," Roger Ebert wrote in the Chicago Sun-Times upon the film's re-release. A reviewer for TVGuide.com even thought that this "nerve-beating masterpiece" is "more timely now than then." In 1962, the year The Manchurian Candidate was first released, Frankenheimer also directed The Birdman of Alcatraz and All Fall Down, two other films which received high critical praise. "Those twelve months from Frankenheimer are better than half a century from most directors," Mark Steyn declared in his obituary of Frankenheimer for the Spectator. The director's career continued to soar throughout the mid-1960s, but things turned around after presidential candidate Robert Kennedy was assassinated in 1968. Frankenheimer had directed Kennedy's television commercials and was also a personal friend; on the day he was shot, Kennedy visited Frankenheimer's home and rode in his car to the hotel where he was later killed. In the wake of Kennedy's death, Frankenheimer moved to France, struggled with depression and alcoholism, and made few well-received films for many years. Frankenheimer quit drinking in 1981, and in the 1990s he began an astonishing resurgence by directing several award-winning cable movies. He had started his career directing live televised theater for such programs as Playhouse 90 and Studio One; as he reflected to Daily Variety interviewer Elizabeth Guider, he found a similar attitude toward high-quality television at Home Box Office (HBO) and other cable channels. Between 1994 and 1998 Frankenheimer won four Emmy awards for directing politically provocative made-for-television movies and miniseries that covered topics from the infamous Confederate prisoner of war camp at Andersonville to the life of segregationist former Alabama governor George Wallace. Frankenheimer died in 2002, bringing an abrupt end to what Entertainment Weekly writer Benjamin Svetkey called "one of Hollywood's greatest second acts." Born February 19, 1930, in Malba (some sources cite Melba and New York), NY; died of a stroke, July 6, 2002, in Los Angeles, CA; son of Walter Martin (a stockbroker) and Helen Mary (Sheedy) Frankenheimer; married Carolyn Diane Miller, September 22, 1954 (divorced, 1961 [some sources cite 1962]); married Evans Evans (an actress), 1964 (some sources cite 1962); children: (first marriage) Lisa Jean, Kristi. Education: Williams College, B.A., 1951. Military/Wartime Service: U.S. Air Force, 1951-53. Bodil Awards for best non-European film, Association of Danish Film Critics, 1965, for Seven Days in May; special jury award for lifetime achievement, Mystfest, 1994; Emmy awards for outstanding individual achievement in directing for a miniseries or a special, Academy of Television Arts and Sciences, 1994, for Against the Wall, 1995, for The Burning Season, and 1996, for Andersonville; Emmy award for outstanding directing for a miniseries or movie, 1998, for George Wallace; lifetime achievement award, Casting Society of America, USA, 1998; named Robert Wise Director of Distinction, Ft. Lauderdale International Film Festival, 1998; lifetime achievement award, San Diego World Film Festival, 1998; Billy Wilder Award, National Board of Review, 1999; Hollywood Discovery Award for outstanding achievement in directing, Hollywood Film Festival, 2001; inducted into Academy of Television Arts and Sciences Hall of Fame, 2002. Director of films, including The Young Stranger, Universal, 1957; The Young Savages, United Artists, 1961; All Fall Down, Metro-Goldwyn-Mayer, 1962; Birdman of Alcatraz, United Artists, 1962; The Manchurian Candidate, United Artists, 1962; Seven Days in May, Paramount, 1964; The Train, United Artists, 1965; Grand Prix: Challenge of the Champions, Metro-Goldwyn-Mayer, 1966; Seconds, Paramount, 1966; The Fixer, Metro-Goldwyn-Mayer, 1968; The Extraordinary Seaman, Metro-Goldwyn-Mayer, 1969; The Gypsy Moths, Metro-Goldwyn-Mayer, 1969; I Walk the Line, Columbia, 1970; The Horsemen, Columbia, 1971; The Iceman Cometh, American Film Institute, 1973; Impossible Object (also known as Story of a Love Story), 1973; 99 and 44/100 Percent Dead (also known as Call Harry Crown), Twentieth Century-Fox, 1974; French Connection II, Twentieth Century-Fox, 1975; Black Sunday, Paramount, 1977; Prophecy, Paramount, 1979; The Challenge (also known as Equals and Sword of the Ninja), Embassy, 1982; The Holcroft Covenant, Universal, 1985; 52 Pickup, Cannon, 1986; Dead Bang, Warner Bros., 1989; The Fourth War, Cannon, 1990; Year of the Gun, Triumph Releasing, 1991; The Island of Dr. Moreau, New Line Cinema, 1996; Ronin, United Artists, 1998; Reindeer Games, Dimension, 1999; and The Hire: Ambush (short promotional film), BMW Films, 2001. Producer of films, including (with others) The Manchurian Candidate, United Artists, 1962; (with others) Seven Days in May, Paramount, 1964; Seconds, 1966; (executive producer) Grand Prix: Challenge of the Champions, Metro-Goldwyn-Mayer, 1966; and The Horsemen, Columbia, 1971. Appeared in films, including (uncredited; as himself) Grand Prix: Challenge of Champions,Metro-Goldwyn-Mayer, 1966; (uncredited; as himself) Lionpower from MGM, Metro-Goldwyn-Mayer, 1967; (as the television controller) Black Sunday, Paramount, 1977; (as General Sonnenberg) The General's Daughter, Paramount, 1999; and (as himself) Jazz Seen: The Life and Times of William Claxton, 2001. Appeared in videos, including (as himself) The Manchurian Candidate Interviews, 1988; and (as himself) The Making of a Political Thriller, 2001. Director of television series, including Danger, Columbia Broadcasting System (CBS), 1954- 55; and Playhouse 90, CBS, 1956-61. Assistant director of television series, including Person to Person, CBS, 1953; You Are There, CBS, beginning 1953; and The Garry Moore Show, CBS, 1953- 54. Director of television miniseries, including (and executive producer) Andersonville, Turner Network Television (TNT), 1996; (and producer) George Wallace (also known as Wallace), TNT, 1997; and (and executive producer) Path to War, 2002. Directed episodes of television series, including "The Plot against King Solomon," You Are There, CBS, 1954; "Portrait in Celluloid," Climax! (also known as Climax Mystery Theatre), CBS, 1955; (and producer) "The Turn of the Screw," Ford Startime, National Broadcasting Company (NBC), 1959; "Maniac at Large," Tales from the Crypt (also known as HBO's Tales from the Crypt), Home Box Office (HBO), 1992; also directed episodes of DuPont Show of the Month, Mama, and Studio One, all CBS; and Sunday Showcase, NBC. Director of television movies, including The Browning Version, 1959; The Rainmaker, HBO, 1982; (as Alan Smithee) Riviera, American Broadcasting Companies (ABC), 1987; Against the Wall (also known as Attica! Attica! and Attica: Line of Fire), HBO, 1994; (and producer) The Burning Season (also known as The Life and Death of Chico Mendes), HBO, 1994; (and executive producer) Path to War, HBO, 2002; also directed The Days of Wine and Roses, For Whom the Bell Tolls, and Old Man. Also directed The Ninth Day, 1956; and The Blue Men (pilot), CBS, 1959. Appeared in television specials, including Frankenheimer, 1971; Reflections on Citizen Kane, 1991; "Rod Serling: Submitted for Your Approval," American Masters, PBS, 1995; Burt Lancaster, American Movie Classics, 1997; The Television Academy Hall of Fame, UPN, 1999; AFI's 100 Years, 100 Thrills: America's Most Heart-pounding Movies, CBS, 2001; The Inside Reel: Digital Filmmaking, Public Broadcasting Service (PBS), 2001; Jazz Seen: The Life and Times of William Claxton, Bravo, 2001; and Reel Radicals: The Sixties Revolution in Film, 2002. Appeared in episodes of television series, including American Cinema, PBS, 1995; Intimate Portrait: Janet Leigh, Lifetime, 1996; "Angela Lansbury: A Balancing Act," Biography, Arts and Entertainment, 1998; "Brian Wilson: A Beach Boy's Tale," Biography, Arts and Entertainment, 1999; "Rock Hudson: Acting the Part," Biography, Arts and Entertainment, 1999; The Directors, Encore, 1999; and "An Interview with John Frankenheimer," WOAK Live, 2000. Director of stage production The Midnight Sun, produced on Broadway, 1959. * (With George Axelrod) The Manchurian Candidate (screenplay; based on the novel by Richard Condon), United Artists, 1962. * (With Gerald Pratley) The Cinema of John Frankenheimer, A. S. Barnes (San Diego, CA), 1969. * (With Gerald Pratley) The Films of Frankenheimer: Forty Years in Film, Lehigh University Press (Bethlehem, PA), 1998. Contributor to periodicals, including Action, Films and Filming, and Saturday Review. View the full website biography of John Frankenheimer.